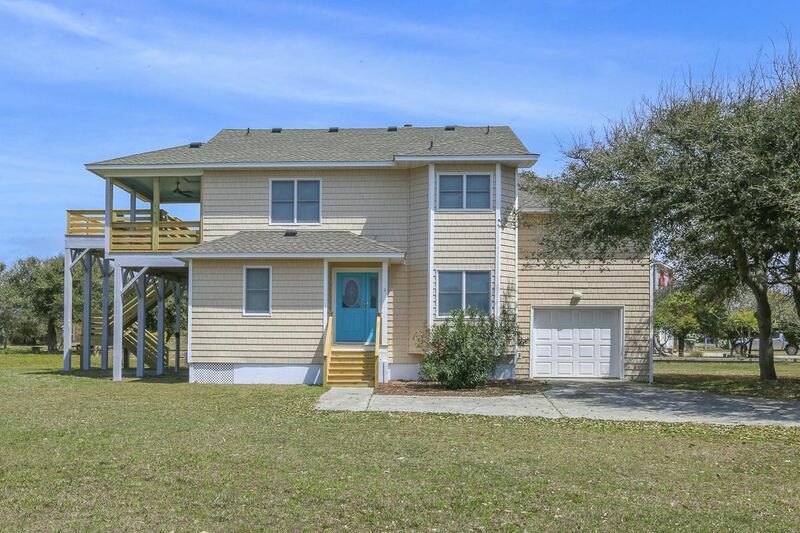 Traveler is a four bedroom, oceanside rental home in Southern Shores. It’s location in Seacrest Village offers quiet private streets that end at the beach access, making walking to the beach each day effortless. This home offers a hot tub on the sundeck, and an ocean view from the upper deck. 3 bedrooms (1 with Queen, rocking chair, TV and DVD player, 1 with Queen, rocking chair, and TV, 1 with 2 Bunk sets and TV), 2 hall baths (1 with tub and shower, 1 with shower only). Laundry closet with washer and dryer. Master bedroom (with King, slider to private deck, and TV with DVD player), private bath (with large jacuzzi and separate shower), powder room. Open living/dining/kitchen area with vaulted juniper ceiling, large flat screen TV, DVD player, stereo with CD player and Bluetooth, and fireplace. Just off the living room is slider access to the sundeck with Hot Tub, as well as the upper level deck with built-in bench and ocean view. There is plenty of seating for all in the dining area with an expansive bar that seats 9 and separate dining table that seats 6. The fully-equipped kitchen offers a dishwasher, microwave, pantry, and wet bar. There is also a screened porch with dining table on this level. Up half a flight of stairs is a ship’s watch with ocean view and card table perfect for puzzles or games. Traveler is conveniently located on 8th Avenue in Southern Shores, putting you just one block from the Hillcrest beach access with its stationary lifeguard in the summer months. It’s just a short drive to the Town of Duck which offers many family-friendly activities on the green during summer, and also offers a soundside boardwalk giving you an opportunity to take in the beautiful sites of the Currituck Sound while strolling from shop to shop. This oceanside home in Southern Shores has plenty of space to spread out and enjoy your Outer Banks vacation. Check out the “Floorplans” tab above for a closer look at Traveler.